Storms are lashing Angell's Arcade and its tenants are reeling from the hammer blow Joan delivered on New Year's Eve. Rosa is struggling with the fallout from the final breakdown of her relationship with Luca; Eden is fearful for the future and Orlando is angry at Joan's betrayal. And the Van de Beurs are about to get the shock of their lives. But no one feels worse than Joan herself. As Vladimir Ivazov visits each shop in turn, tempers start to fray. Someone has to stand up to the bullying Russian for all everyone's sake. But which arcade tenant will it be? Review: February definitely doesn't bring romance in this instalment of my favourite monthly serial. This month sees new owner Vladimir dealing out eviction notices to the arcade inhabitants. 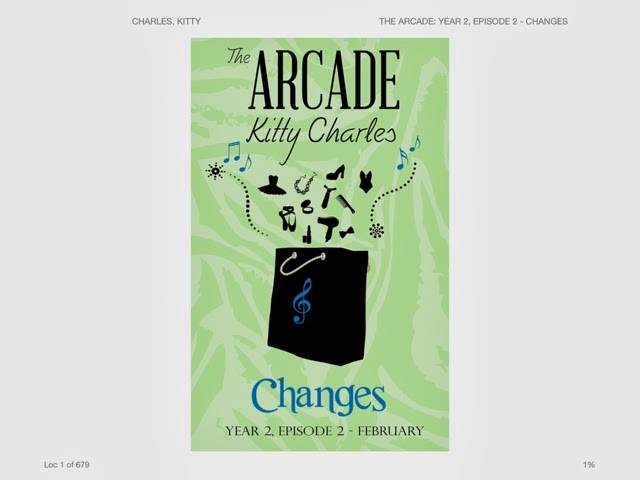 Change is most definitely an apt theme for this months episode! Change comes in the form of new tenants in unit 13. This is definitely exciting for fans of the arcade because, as we know, when new characters are introduced, they always bring high-drama with them, something which they are definitely not short of down there in Angell's Arcade. I can't wait to find out more about these new tenants. This episode, like the first of this new year tries to cover most of the characters. I really like hearing beyond storylines, but at the same time, I feel like we don't quite go deep enough into everyone's tales as we did in year one, I'm sure this is just because new characters are being introduced and we need to see how they mesh with the existing shop owners, but there is still definitely plenty of scandal and gossip. This episode had me gasping in parts and the very end of the tale is really quite shocking. This new dark twist to the arcade will mean that those of you who've not read about the characters before will still enjoy reading the same level of drama and intrigue you get when reading year 1 but with a darker, edgier feel, something which is taking the arcade in a whole new direction! I do like this new twist! Of course the teaser at the end of this episode was a torturous as ever, wanting to find out what was going to happen in March! The storms that lashed Angell's Arcade in February might be easing but the tenants are still feeling the effects. For Erin Watson, things are particularly tempestuous and when some unwelcome family memories are awoken, she's forced to accept that you can't always walk away when trouble darkens your door. Help arrives from the unlikeliest quarter, in the shape of the last person she wants to owe anything to, and reminds Erin that sometimes, your friendships choose you. Review: March has definitely arrived with renewed optimism and in my opinion, the arcade is back in the swing of things. This episode focuses on Erin and her blossoming lesbian relationship. It also brings Dermot and Libby back into the picture, the same cast of characters that appeared in last years march episode. I really liked the fact that we have come full circle with these characters and it was great to be able to get to know what had been going on with them. Just like the February episode, things are much darker than in year one but this episode sees the arcade inhabitants rallying round and deciding that they aren't going to put up with Vladimir and his threats. I think this is a very realistic reaction for these characters. They are the kind of people who pull together and after everything they've already gone through, they definitely should be pulling together and spurting each other as they have always done. There are some fiery moments in this episode, and again, some really shocking scenes. I loved having that title bit more insight into a couple of characters. 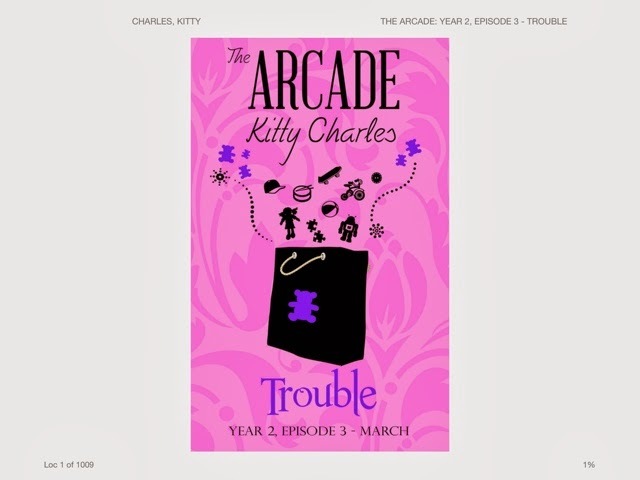 And, though it's mainly the gift shop, the toy shop and the new shop that are dealt with, there are fabulous hints at one of the upcoming weddings within the arcade and we know from the teaser at the end, that this is going to be dealt with in Aprils episode-I can't wait! If you've not already caught up with these episodes I would suggest reading Where Dreams Come True, all of year ones episodes together, this is definitely a must read and a great alternative to a monthly magazine!